Everybody wants to blog. Very few people have the time, energy, and—let’s be honest—the talent to get it done. If you’re not confident in your ability to write it, then what you have to say gets lost in the shuffle. It’s easier with help. It could be as easy as telling me about your latest creative musing or expert opinion on a topic. You talk, I listen, then … a blog post! 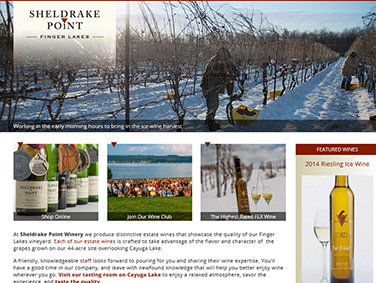 Sheldrake Point Winery’s blog published twice-monthly between December 2014 and December 2018. 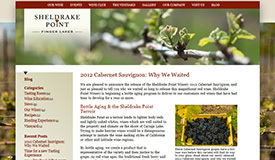 Posts were composed by me from interviews, research, and brief notes, and ghostwritten for the bylines (and in the voices) of winemakers, tasting room managers, vineyard managers, and winery co-owners.